The recent Hindraf demonstrations against racial marginalization of Indian Malaysians have again brought into focus the issue of Malay “privileges” as provided for under the Constitution. Judging from public utterances in the press and websites, there seem to be continuing wide-spread ignorance, misrepresentation and misunderstanding of what our Constitution precisely provides on this issue. The center of controversy is Article 153 of the Constitution which provides for what is popularly known as Malay “privileges”. Due to misrepresentation by Umno in the past, many have come to identify Article 153 – and even the entire Constitution – as racially discriminatory. This is not so. In spite numerous constitutional amendments, the egalitarian spirit of our Constitution in respect of racial equality remains largely intact. Public misunderstanding is attributed to Umno hijacking Article 153 to practice unbridled racial discrimination for self-enrichment in the past few decades. Due to the heightening racial tensions caused by Umno’s retrogressive move to intensify its racial agenda under the NEP (New Economic Policy) and brewing racial discontent by Hindraf, it is imperative and urgent that the truth be known with regards to the true legal standing of the various races as provided for in our Constitution – the legal foundation upon which this nation is built. For this reason, I am reproducing as follows the main part of an article I wrote three years ago (see note below), which analysed and clarified these controversial issues. Forty seven years after Independence, racial issues continued to monopolise national politics, and championing Malay rights remains the single dominant ideology of Umno – the only ruling power that this nation has known since Independence. Thousands of speeches have been made championing this Malay cause, using various terminologies such as Malay “special rights”, Malay “special privileges” or simply Malay “rights”, often invoking the nation’s Constitution as the legal back-up. But, of the many politicians who have used these terminologies, how many have read through the Constitution to find out what these “rights” really are? Very few, I am afraid. 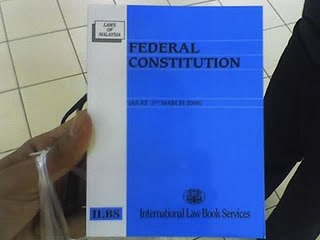 Our Constitution is printed in a small booklet titled “Federal Constitution” that can be bought for RM10 in the book shops. Buy one copy and read through to find out what it says about these “rights”. After all, these issues – more than any others – have dominated our lives, and all citizens should know what these rights truly are as spelled out in our Constitution. If you have read through the Constitution to look for an answer to these Malay “rights”, perhaps the first thing that has struck you is that, familiar terminologies such as Malay “special rights”, Malay “special privileges” or Malay “rights” are no where to be found in the Constitution. Instead, we only find the term “the special position of the Malays”, which appears twice, in Clause (1) and Clause (2) of Article 153, which is titled “Reservation of quotas in respect of services, permits, etc, for Malays and natives of any of the States of Sabah and Sarawak”. (The words “natives of Sabah and Sarawak” were only incorporated into the Constitution upon the formation of Malaysia in 1963, during which Sabah, Sarawak and Singapore were merged with Malaya to form Malaysia. In this article, these words will not be repeated after the word “Malay” when I quote from the Constitution, for abbreviation purpose). Any one who has read through Article 153 might be surprised to discover that the provisions favouring Malays are in fact quite moderate, and certainly no way as stretched out in intensity and scope as our politicians would want us to believe. Similarly, those provisions protecting the non-Malays as a counter-balance to the special position of the Malays under the same Article 153 are also surprisingly quite well conceived and fair. In fact, when read in conjunction with Article 8 (Equality) and Article 136 (Impartial treatment of Federal employees), Article 153 cannot be construed as having significantly violated the egalitarian principles of our Constitution, contrary to common perception. Since the egalitarian nature of our Constitution is largely intact, in spite of the presence of Article 153, then why should it have acquired such an adverse reputation as the legal root of all kinds of racial inequalities in this country? Answer: the fault is not with our Constitution, but with our politicians twisting, misinterpreting and abusing it. It is perhaps high time we get to the bottom of Article 153. Clause (1) of Article 153 states: “It shall be the responsibility of the Yang di-Pertuan Agong to safeguard the special position of the Malays and the legitimate interests of other communities in accordance with the provisions of this Article”. So, the first understanding that we must have on Article 153 is that it is meant to protect the interests of not only the Malays, but also those of the non-Malays. Next, note the deliberate use of the words “safeguard” and “special position” (instead of “special rights” or “special privileges”). The choice of these words must be understood in the historical context of the drafting of this Constitution half a century ago when Malays were economically and educationally backward in relation to other races. It was thought fit and proper then that there must be “safeguards” to protect the Malays from being swarmed over by other races. Hence, the creation of the “special position” of the Malays, which was obviously intended for defensive purpose: to protect for survival. The meticulous avoidance of using words like “rights” and “privileges”, and the choice of the word “safeguard” were clearly calculated to reflect its defensive nature. Under that historical context, the provision of the special position of the Malays in the Constitution certainly could not be interpreted to mean the endowment of racial privileges to create a privileged class of citizenship. If it were otherwise, this country would have been turned into a racist and feudal state right from day one of our Independence. Clause (2) says that the Yang di-Pertuan Agong shall safeguard the special position of the Malays by reserving positions “of such proportion as he may deem reasonable” in a) the public service B) educational facilities and c) business licenses. Clauses (3) & (6) say that the Yang di-Pertuan Agong may, for purpose of fulfilling Clause (2), give general directions to the relevant authorities, which shall then duly comply. As for the protection of non-Malays against possible encroachment of their existing interests, there are several provisions under different clauses in this Article, prohibiting the deprivation of the existing facilities enjoyed by them, whether in public service, education or trading licenses. Of these protective clauses, Clauses (5) and (9) are particularly significant. Clause (5) consists of one sentence, which reads: “This Article does not derogate from the provisions of Article 136”. 1. The present clamour for Malay “special rights” as sacrosanct racial privileges of a privileged race, especially under the ideological ambit of Ketuanan Melayu (Malay the master race), is in conflict with the letters and spirit of the Constitution. a) Racial discrimination in the appointment and promotion of employees in publicly funded bodies, resulting in these becoming almost mono-raced bodies (particular so in their top strata). These bodies include: the civil service, police, army and various semi and quasi government agencies. B) Barring of non-Malays from tenders and contracts controlled directly or indirectly by the government. c) Imposition of compulsory price discounts and quotas in favour of Malays in housing projects. d) Imposition of compulsory share quota for Malays in non-Malay companies. e) Blanket barring of non-Malays to publicly funded academic institutions. f) Completely lop-sided allocation of scholarships and seats of learning in clearly unreasonable proportions that reflect racial discriminations. 3) Our Constitution provides for only one class of citizenship and all citizens are equal before the law. The presence of Article 153 does not alter this fact, as it is meant only to protect the Malays from being “squeezed” by other races by allowing the reservation of reasonable quotas on certain sectors of national life. However, this Constitution has now been hijacked through decades of hegemony of political power by UMNO to result in the virtual monopoly of the public sector by a single race. The ensuing racism, corruption and corrosion of integrity of our democratic institutions have brought serious retrogression to our nation-building process in terms of national unity, discipline, morality and competitiveness of our people. At this critical juncture, when nations in this region and around the world are urgently restructuring and shaping up to cope with globalization, our nation stagnates in a cesspool that has been created through decades of misrule. Unless urgent reforms are carried out, beginning with the dismantling of the anachronistic racial edifice, we are in for serious troubles in the days ahead. Can Muslims in Malaysia tell me the justice and fairness in the Syariah Law? I do not think this attack on nuns is robbery related. Does Ernest Zacharevic got work permit for him to work in Malaysia? FYI, when it comes to properties, if taking out Malay quota will see non-malays sweeping in to buy every single property on the market, given the financial power that non-malays earn relative to malay workers. This will surely put malays in a weaker financial position. It is also know that banks favor chinese customers over malay and indian customers and the credit ratings among chinese is far better regardless of his or her financial standing. While for a malay or indian, to get loans basically you need to go to MBSB who gives cut throat loans with high interest, thus lowering the buying power of the Malays and indian. As i said earlier, Malay get only marginal benefit from the NEP and Malay rights. However, i would like to see the removal of this malay rights and see the after effects for the next 10 years. Chinese average income is 5% more than Malay, this is not a significant variance in any free society like UK. How do you feel when a Malay millionaire gets 5% discount for a bungalow? Affirmative action should be applied to needy group only, not to Malay rich men indiscriminately. Indian is poorest race in Malaysia, they should be given assistance to catch up with Chinese and Malay. If I want to buy a car, I have to pay some Malay crony AP money, or buy from Proton or Perodua, and we all know who owns those. Now I have the car, and I want to pump petrol, and guess who’s the likely owner of the petrol station. And I travel in my car, and have to pay toll in most cases, and who owns those concessionaries? I come home, I sit down and turn on TV, and who owns TNB and the TV contents provider? I go take a shower, and who owns the water concession? The water goes to the sewer, and who owns the sewage processor? The garbage truck comes pick up my garbage, and who owns the waste disposal companies? I sit down and have dinner, and who monopolises the rice franchise? I am fed, feel horny, and go look for a China doll. Now that’s something run by the Chinese, although the royal police probably gets a cut on every dollar I spend my sweet China doll. I really don’t care about Malay rights because it hasn’t benefit me at all. However, as a Malay and been in Malaysia for the last 12 years, my stay in UK has been over 20 years. My reasons to come back is to see the rest of my family but decided to stay here. Yes there is a problem with the UMNO leadership and the policies they have implemented and adopted when it comes to Malay rights. They do scare people. But i have also come to realize that the Malays are being marginalized when it comes to jobs and pay as well as opportunities. I see this around me. What i am afraid of is for the Malays when all opportunities are withdrawn and the opportunities to grow is closed on them by other races will this country go into a serious problems that will permanently damage this country for good and will take decades to recover this country back to once it was. This country is still divided among racial lines but i didn’t see the racial lines when all Malaysians were supporting one another in the UK. We became a close knit family and looking after one’s back on a foreign land was a must. I was shock to see this when i was back in Malaysia to see racial lines divided from school to job opportunities. UMNO as i know is corrupted to the bones no doubt about that but unfortunately the majority of Malays still do not enjoy such privilege that is stated in those articles other than a benefit for the ruling party. My questions is this. Who will look after the Malays if UMNO or BN was to fall? Secondly, would the new government implement fair business trades when it comes to all race? Ie giving Malays chance to trade in places like KLCC, Mid Valley, IOI Mall and more as well as use impose laws against those who discriminate others both on the grounds of race. While many malays still support the corrupt BN government, its because one part is the discriminate against them by other races in the areas of business. At the end, the Malay population loses to both side be it BN or PKR. What will happen then when the Malay loses everything to corrupted officials of PKR. Now i am just going to watch what happens to the PKNS Plaza to determine the effects of PKR and its powers to possibly remove Malay traders from this plaza. If it does go in this direction then by thought is correct to say this problem will grow and when it happens, i wouldn’t want to be here! The study by MU and UKM says that Malay private companies discriminate Malay more than Chinese companies. Stop using Chinese companies as UMNO punching bag in future. Malaysian Chinese call themselves Malaysian in overseas, but have to call ourselves Chinese in Malaysia because of UMNO racial policy. I know a few Malay businessmen who are more successful than average Chinese without any assistance from government. You will be surprised if you know how smart and hardworking these Malays. 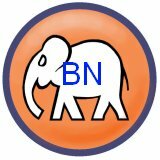 Malays in 2012 are not the same Malays in 1957, UMNO and Malay radicals are still pestering that Malays still cannot compete on their foots is for a few Malay elites to rob more national assets under the NEP. Only those lazy people from any race have to worry on meritocracy system. Danial asked who will look after the malays if Umno/BN fall? The answer is Sultans and Raja Melayu who are the protector of malays. This is in the constitution, right? The government is just elected by rakyat to serve rakyat. I think malay is the only race in the world that has protection in Malaysia, yet they still feel insecure.